Announcing the A Lively Hope Stitching Club! This Families are Forever pattern is the very first of many FREE monthly patterns available to those who subscribe to the A Lively Hope Stitching Club email. Each month, typically on the first Friday of the month, you'll receive an email from me with a pdf pattern and list of all the embroidery thread colors you need to complete a gorgeous new hand embroidery design. 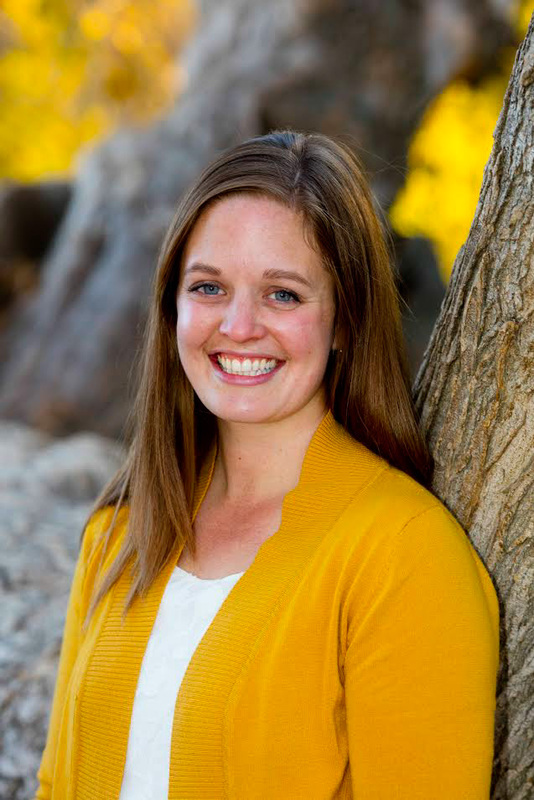 I'm delighted to begin this project and can't wait for you to join me! Join soon; the first pattern goes out on Friday! 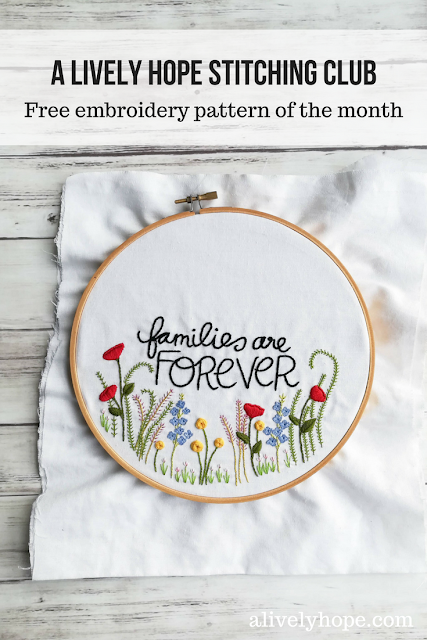 Two separate monthly newsletters: one to stay up to date with all things A Lively Hope (book reviews, scripture study helps, journaling, homeschool inspiration, craft projects, tons of free printables) and one just for FREE hand embroidery patterns! I'll be releasing a free hand embroidery pattern every month! Stitching Kits are on their way to the shop! 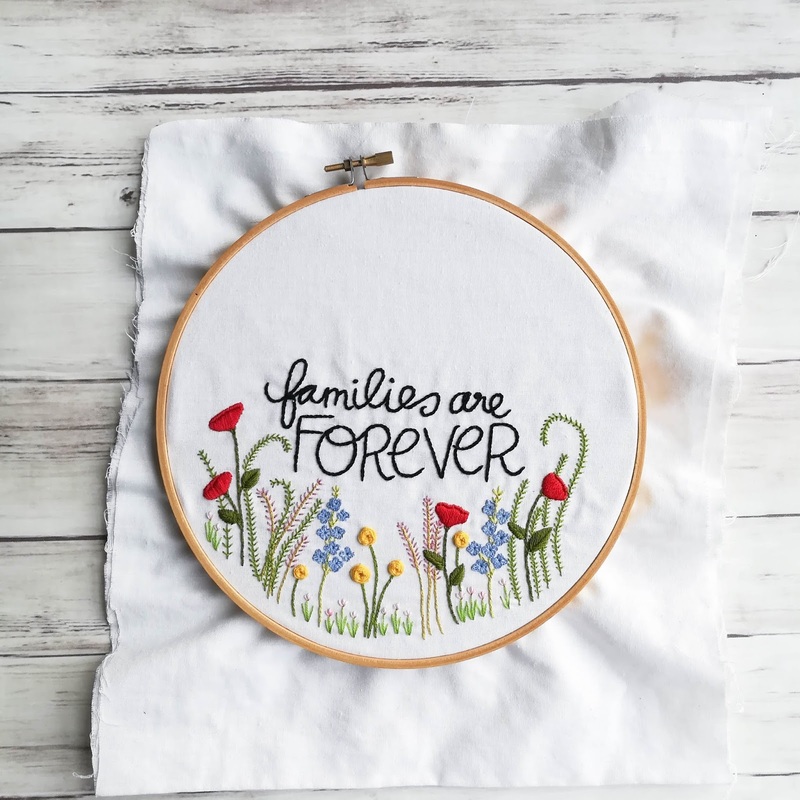 Each kit has a beautiful hand embroidery design pre-printed on high quality cotton fabric as well as all the embroidery thread you'll need to complete the project. I'm thrilled that this dream of mine is finally coming to life! A Lively Hope Blog newsletter: If you'd like to receive the A Lively Hope newsletter, please sign up here. A Lively Hope Stitching Club newsletter: If you want to receive a free hand embroidery pattern delivered right to your inbox each month, sign up here. Of course you can sign up for both newsletters if you're so inclined. So, to recap, the plan going forward will be one monthly newsletter featuring the free hand embroidery pattern and one separate monthly newsletter with all the new stuff on alivelyhope.com, plus each month I'll include five things I'm loving lately (this could include anything from books to podcasts to craft projects). I am so grateful to you, readers, for supporting me in this work that I love.